It’s been brought to our attention that the people at gamepeople.co.uk have produced reviews for the Nintendo Wii and Nintendo Dual Screen versions of Jelly Belly: Ballistic Beans. The reviews are generally very positive focussing largely on the accessibility, branding, ease of play and unique control systems. 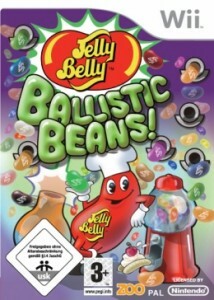 Jelly Belly: Ballistic Beans is the heavily branded, although annoyingly addictive pachinko come pinball game staring the fruity flavoured gelatin snacks. In what turns out to be not a million miles from the crowd pleasing Peggle: Dual Shot DS, Jelly Belly: Ballistic Beans is just as moreish as the edible product.